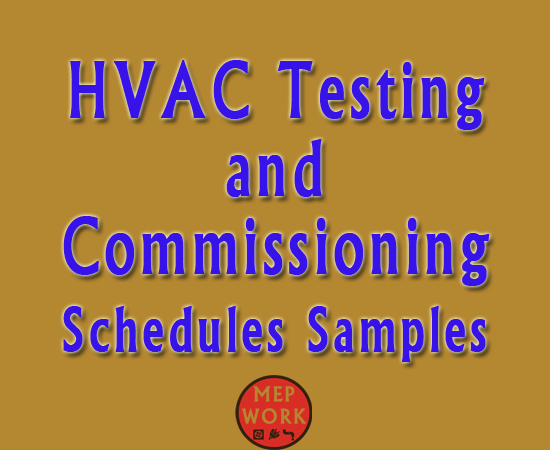 Download HVAC Testing and Commissioning Schedules Samples. The primary goal of commissioning is to ensure a building’s HVAC systems are operating the way the owner intended. HVAC commissioning is more recognized as an important process needed for design, construction, operation, and maintenance of HVAC systems for commercial buildings. HVAC Testing and Commissioning Schedules Samples.